It’s a scenario that’s all too familiar: having spent some time researching a product online, Jane is ready to make a purchase. She starts to check out and scans the shipping options. Will it arrive when she needs it to with regular shipping or should she pay to have it expedited? Hmmm…She can’t find information about order processing times anywhere on the website and when she mistakenly hits the back arrow on her keyboard the item disappears from her cart. And just like that, Jane has lost all patience with the transaction and with the company she was trying to purchase from. Now imagine a different scenario. While Jane is scanning the shipping options, a customer service agent starts a live chat conversation and asks Jane if she has any questions about her order. Without missing a beat, Jane types in her concern and the agent responds with the information Jane needs, allowing her to check out quickly and leave the site a satisfied customer. Much better, right? Why should companies provide live chat support? As more and more businesses are realizing, the easiest way to meet the demands of today’s connected and discerning customer is with live chat. Providing live chat support ensures real-time communication with your customers, a competitive advantage that’s quickly becoming a business imperative. With website chat, companies meet their customers where they are—online—in time to support them before they give up and go elsewhere. Question answered, transaction salvaged, customer satisfied. 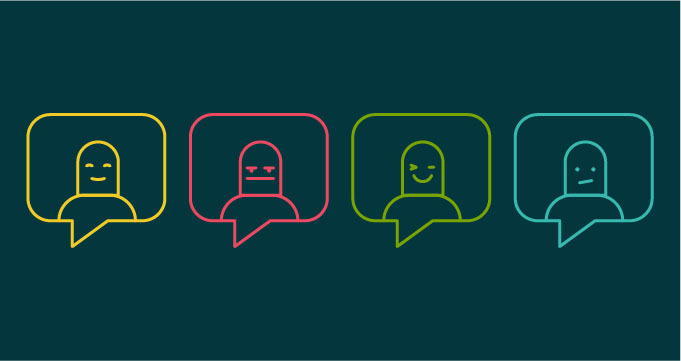 Customer service chat has transformed the way customer service teams provide support. Simply put, with chat, agents and customers get on the same page more quickly and can move on from there to resolve the problem. Live chat is captured verbatim meaning there’s less room for mishearing or misunderstanding in the moment. And because it’s a real-time conversation via text, agents can reread the customer responses and ask for clarification easily. Live chat also allows parties to share content like item numbers, descriptions, and photos as quickly as they can copy and paste a link, so queries and clarification happen in real-time. What are the other benefits of live chat support? Beyond being a seamless and familiar interface for customers, live chat is also a valuable means of maintaining customer service records. It’s a gold mine for companies that seek to understand customer pain points—which in today’s competitive business climate should be all companies. By reviewing live chat sessions, businesses see where they’re letting customers down with their website content or purchase processes and can make changes to improve the customer experience accordingly. Another strong selling point? Website chat is an incredibly efficient means of communication for all parties involved. Customers don’t wait in a long phone queue and agents can multi-task during chat sessions, often handling more than one customer issue at a time. When it comes to delivering the best and most timely customer support there’s no question Live chat has become one of the most useful arrows in the customer service agent’s quiver.